Leg pain has a 101 causes so a careful examination is paramount. Leg pain is a common complaint at the chiropractic clinic. Lower limb conditions are a common affliction in the chiropractic clinic. There are a host of causes. Intermittent claudication is a nasty condition relates to a muscle starved of oxygen, usually in the calf or thigh, with exercise. Leg pain brought on by exercise, and relieved by rest is the cardinal sign. In this sense it is closely related to its first cousin, angina pectoris, which is a heart muscle suffering from anoxia; then you would get chest pain when you go for a walk. Typically you will find that whilst walking you develop calf pain, and while cycling in the thigh, which almost immediately ceases when you stop the activity. During exercise the muscle demands more oxygen. If none is available, then it starts complaining. When you stop exercising, the muscle no longer needs the extra oxygen and the leg stops aching. Patients typically describe the pain as an ache, cramp, numbness or a sense of fatigue. As in much of medicine, the word is derived from a Latin word, claudicare in this case which means to limp. Your chiropractor will look for decreased pulses in the ankle and foot, and for other signs like loss of hair and shiny skin in the lower leg. Smoking and low back pain go hand in hand; it's usually the villain of the peace when it comes to intermittent claudication. This page was last updated by Dr Barrie Lewis on 20th March, 2019. A variation on this theme of too little oxygen is failure of the valves in the veins causing leg pain. Varicose veins and herbs may be of interest to you. The cause of claudication is usually smoking, and worse if it is accompanied by a poor diet, high in unhealthy fats; leg pain when exercising, relieved by rest is the rule. 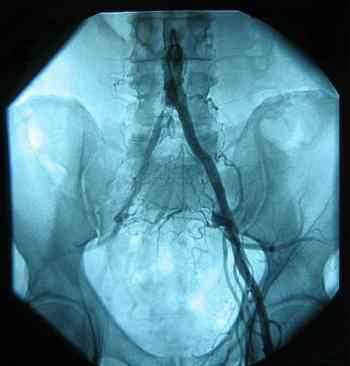 This fatal combination causes a blockage in the artery that runs to the leg. So, what is the treatment of intermittent claudication? Here are some facts about healthy fats and the cholesterol alcohol link. Since smoking reduces the blood oxygen by about 20 percent, stopping smoking immediately makes significantly more oxygen available. As a result the pain in the leg only begins after a greater distance. A careful assessment of your blood fats is immediately important. A radical change of diet may be in the offing, and that doesn't include taking statins unless your cholesterol is dangerously high. Consider, for example, the novel idea of cholesterol credit; have your cake and eat it. See the end of the page for more information. Omega 3, best found in fish oil and freshly ground flax seeds, is a powerful anti inflammatory, especially for atherosclerosis in blood vessels. It protects the inner lining of blood vessels. An assessment of diabetes and high blood pressure, which may contribute and must be appropriately treated, is certainly required. Walnuts have proven value for high blood pressure. Regular exercise within the limit of the pain promotes alternative blood pathways. If all the above fail, a vascular surgeon will either stretch the offending artery with a balloon, fit a stent or perform a bypass to reduce the pain during exercise. Male smokers over 50 are the most common victims. It’s because of conditions like this that smokers typically lose the last ten years of their lives. Just about the time they retire! Hint, hint! For some reason, with women it's even worse. Smoking women's hearts stop fifteen years sooner than non smokers; varicose ulcers are a painful problem too. Enjoy this short story from chiropractor Bernard Preston's third book of Chiropractic anecdotes, Stones in my Clog, about a blocked artery in the groin causing pain in the leg. Buy the book for about three dollars and enjoy on your Kindle, tablet or smartphone. Stop smoking permanently is very difficult but can be done. Slipped disc symptoms should not be ignored or neglected; a lifetime of back problems and often leg pain then often lies ahead. Pain in upper leg is a not uncommon symptom. Slipped disc symptoms are often fairly classical but there's always the exception that proves the rule. The postero medial slipped disk is your biggest enemy because the pain goes away much faster than expected with chiropractic help, but if you stop the exercises and being prudent it comes roaring back. 50 percent less pain is the dangerous time. PS. Do you recognise the artist? You should! The Master... too small to see the V located in a corner. Find the original in an Amsterdam museum. It will be valued probably at about $200 million! "For patients with low back pain in whom spinal adjustments are not contradindicated (cancer, new fracture...) chiropractic almost certainly confers worthwhile, long-term benefit in comparison with hospital outpatient management." Being sixty plus myself, I treat many elderly patients. Many of them are complaining of hip and upper leg pain; one not uncommon cause is a well researched side effect of a drug that many of them are taking. Are you osteoporotic and taking medication for prevention of a hip fracture? Fosamax Reviews tells all. 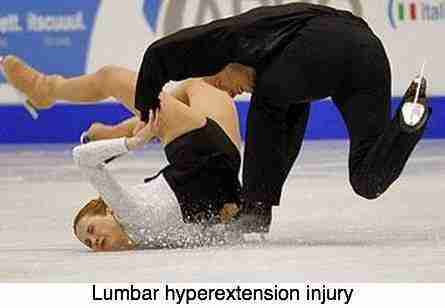 Upper lumbar thigh pain is always a bit of a diagnostic nightmare. Meralgia Paresthetica is a condition where a sensory nerve to the side (and sometimes the front) of the thigh is pinched in the groin causing leg pain. Traditionally it is believed that it can only be corrected surgically, however this is not the case. It's a condition that Chiropractors treat every day, but the treatment in the groin is horribly painful. Better than surgery though. It's what's known as a double crush syndrome; there is indeed a pinched nerve in the groin, but invariably the mid to upper lumbar spine is involved. Both need to be addressed for a successful outcome. Groin and upper thigh pain are common in the chiropractic practice. 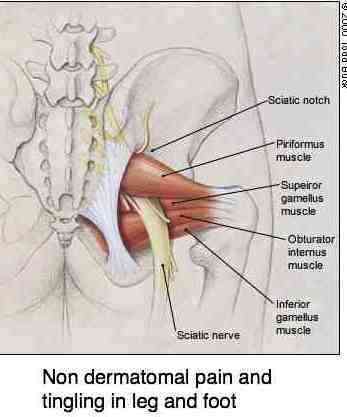 Leg pain sciatica is a particularly mean leg pain, a condition that chiropractors face on a daily basis. It can cause tingling legs, pain and weakness. 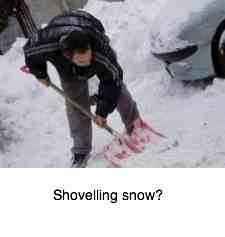 It may be caused by many different conditions. Here are a few of the more common causes of pain and tingling in feet and legs. Two hundred and eighty three patients with leg pain sciatica, who had not responded to previous conservative or operative medical treatment, and were classified as totally disabled, were treated with spinal adjustments. 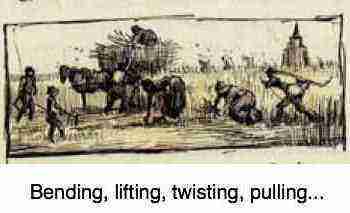 Eighty one percent became symptom free or achieved a state of mild intermittent pain with no work restrictions. Univ of Saskatch research study. There are many Chiropractic conditions that can cause leg pain. 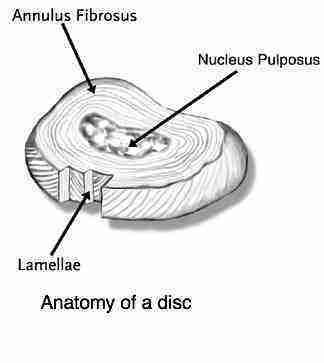 A slipped disk obviously comes to mind, in which the inner "nucleus pulposis" ruptures through the "annulus fibrosis". 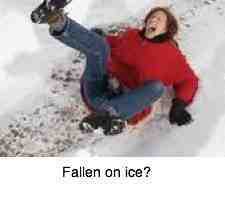 The slipped disc, if it impinges on the nerve root, will cause sensory and motor changes as well as leg pain. For example, your chiropractor will check the L4 lumbar spine reflex to help determine at which level in your back the prolapse has occurred. Whilst one would love to have a scan of every patient complaining of leg pain, the price is prohibitive, and your chiropractor will have to rely on the basic skills of neurology and orthopaedics, and motion palpation, to determine which vertebra needs adjusting. 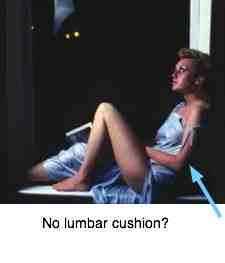 Then there is the lumbar facet syndrome; the joint that lies just behind the nerve. 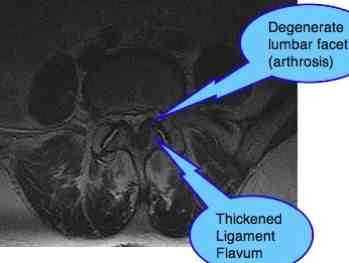 Should it become enlarged and arthritic then it too can cause leg pain. 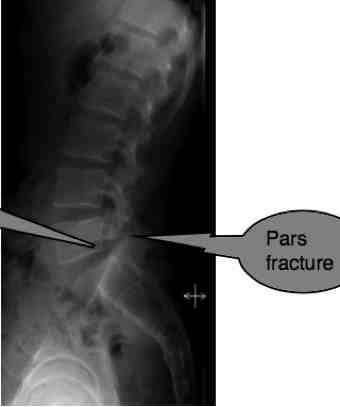 Last but not least a condition known as spondylolysthesis may allow forward slippage of a vertebra which can pinch the nerve and cause leg pain. Notice the slight forward slip of L5 arrowed. Taking drugs for leg pain sciatica? Sometimes the spinal canal and the apertures where the nerves emerge become so narrowed that the spinal cord and nerve roots become seriously threatened. 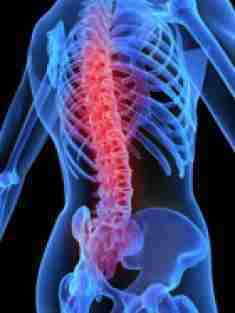 It is mostly caused by arthritis in the spine, but there are other causes. The result is upper thigh pain and sometimes weakness and numbness in the legs. 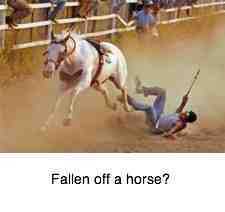 That could be in the front or side of the leg, in the groin depending on which level is affected. 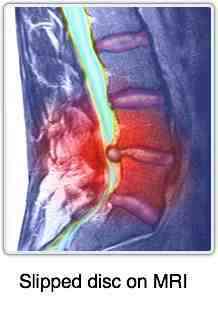 Lumbar stenosis is a condition faced on a daily basis at the Chiropractic Coalface. Ususally, but not always, patients respond reasonably well to our care. Not many are cured. As you will see from this lumbar stenosis casefile, manipulative care should certainly be considered before surgery. 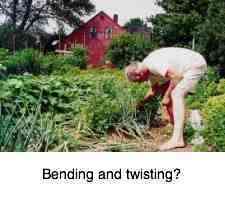 Key signs of lumbar spinal stenosis are relief of pain when bending forwards, increase of pain when bending backwards, less discomroft when sitting, and increased paresthesias in the legs when walking. See lower down for this casefile. Avmed, a large American health maintenance organization did research to find if they could save money by having patients with lower back pain treated by chiropractors. They chose 100 patients with severe low back pain, 80 of whom had already been medically treated without satisfactory results. Not one of the 100 ended up under the knife, and 86 percent responded very favourably to chiropractic help, and what's more none got worse. I continue to be amazed at the power of chiropractic; by applying the basic principles of joint care, learnt thirty-five years ago, in those days most related to the spine, your chiropractor can in fact treat any joint injury in the body. Leg pain is not always referred from the spine, or a clogged artery supplying blood to the leg. Formerly sciatica without back pain was considered a surgical job, but this is no longer the case, but progress is often slow with conservative care, though the final outcome usual better. Plus you escape the anaesthetic. I went to visit a friend today after surgery three weeks. The operation was successful but he insistently described to me how to get to his home; I've been there more than fifty times. Anaesthetic Alzheimers isn't pretty. Growing pains are a real problem in the child and there appears little consensus as to the cause or the remedy. It certainly has nothing to do with the growth spurts of the child. In my opinion growing pains are an urban legend, like many myths; behind them lurk a real cause, only very often it's not known. So in our ignorance we call them "growing pains." So I call them growing pains chiropractic because in my opinion they are joint rather than muscle related conditions, as medicine prefers. Children are hypermobile causing many aches and pains in the as yet unformed joints. Of particular concern is whether there is serious disease lurking behind these "growing pains;" every limp needs to be investigated thoroughly. Leg pain during pregnancy is a common affliction. It may emanate from sacroiliac joints, the lower back but also frequently from deep pelvic muscles attached to the pubic bones. Leg pain during pregnancy casefile is of interest. It is with sadness that I report on a 12 year old girl who recently consulted us with leg pain. The presentation and history was bizarre with several misleading factors. A horse fell on her leg several months previously. 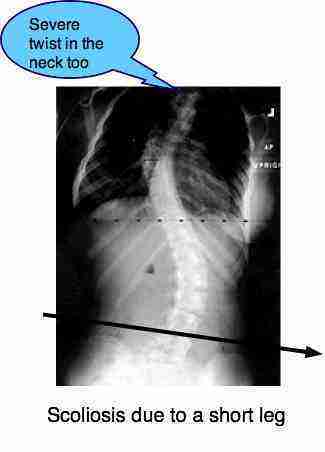 She has a spina bifida occulta. We were unable to make a convincing diagnosis consistent with the history and findings, referring her to an orthopaedic surgeon; he thought it was biomechanical and referred her to a phyiotherapist. 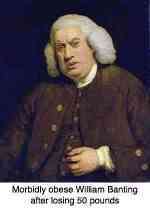 The latter also was unsure and to her credit also declined to treat the lass until a more certain diagnosis was made. So the lass went to another orthopaedic surgeon who initially focused on the spina bifida but, being uncertain too, sent her for scans; an osteosarcoma in the upper leg; but this time a month or more had passed and there was already a metasis to the lung; the prognosis is not good. 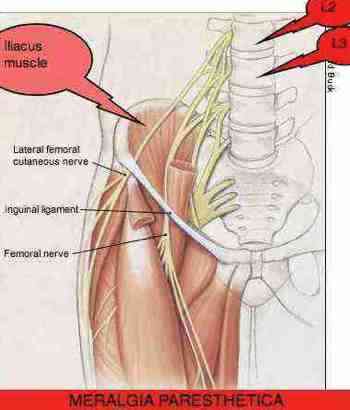 Leg pain may be from the sciatic or femoral nerves. In the same way that companies can earn carbon credits, you can can gather cholesterol credit by eating certain foods. Then you can have your cake and eat it. Leg pain and your cholesterol levels are undeniably intertwined especially if you are also a smoker. Immobilisation Arthritis is caused by chronic joint fixation. Leg pain during pregnancy ..